The Elk Grove - Cosumnes Cemetery District was established on June 15, 1951, with George Stout, Keith Douglas and Cantrell Castello as Cemetery Trustees. The District had been deeded the Elk Grove Masonic Cemetery on Elk Grove Boulevard and the Elk Grove Odd Fellows Cemetery on Waterman Road. 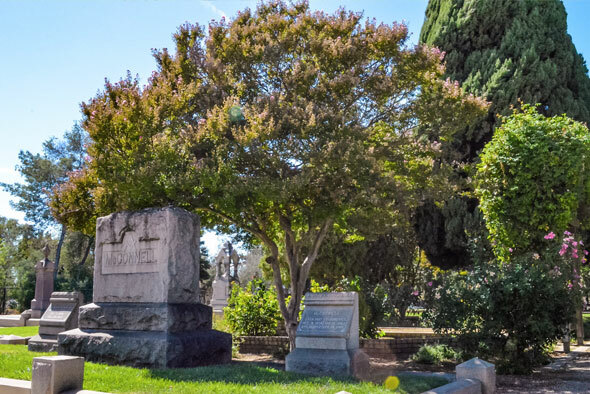 The District continued to grow by obtaining the Franklin Cemetery in 1969, Pleasant Grove Cemetery in 1971, San Joaquin Cemetery in 1973 and Elder Creek Cemetery in 2005.